Blumine Island (Oruawairua) in Queen Charlotte Sound. Seen from the North. 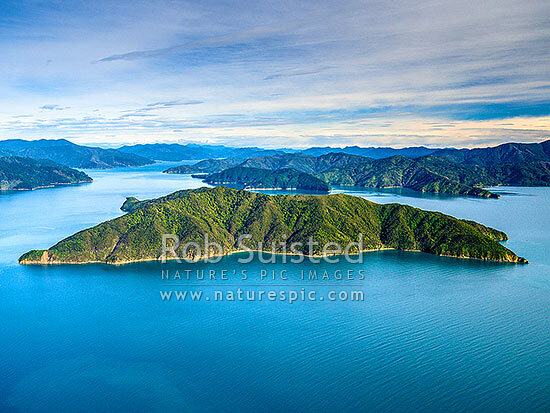 Patten Passage to left, Picton and Grove arm distant left, Marlborough Sounds, Marlborough District, Marlborough Region, New Zealand (NZ), stock photo.